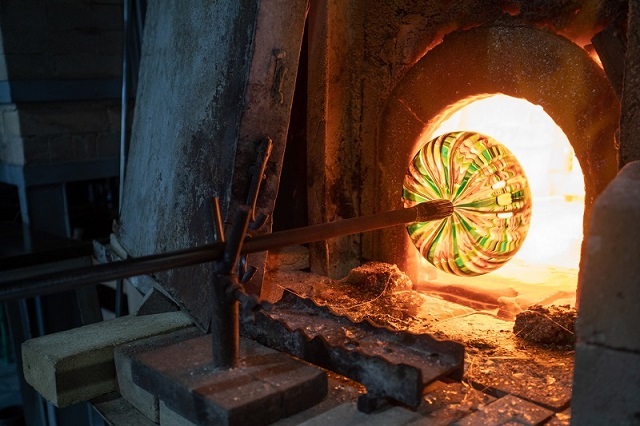 Judging by the enthusiasm of over 91,000 visitors who participated in more than 180 events around Murano, Venice and Mestre during the international festival dedicated to the art of glass, The Venice Glass Week prepares for the third edition. The next edition of The Venice Glass Week will take place from 7th – 15th September 2019, and the application process is now open. To partecipate visit www.theveniceglassweek.com/en/applications-2019/, download the application form, which includes conditions of participation, complete the application form with details of your proposed event, and send it to [email protected] by Thursday 21st March 2019. Promoted by the Town Council of Venice, Fondazione Musei Civici di Venezia, LE STANZE DEL VETRO – Fondazione Giorgio Cini, Istituto Veneto di Scienze, Lettere ed Arti and Consorzio Promovetro Murano, The Venice Glass Week was recently included by the Veneto Region in the list of “Major Events” 2018. Also this year, all applications will be evaluated and selected by a team of experts in the glass sector, at an international level, including curators, historians, critics and scholars. The curatorial committee will be headed by historian of Venetian glass Rosa Barovier Mentasti and will consist of critics and curators Isabelle Reiher and Jean Blanchaert, director of the German magazine Neues Glas Uta Klotz, and architect Marco Zito. The Venice Glass Week warmly welcomes applications from any Italian or international organisation, company or individual wishing to organise an event relating to artistic glass. Proposed initiatives can include exhibitions and installations, as well as conferences, performances, workshops, demonstrations, guided tours, children’s activities or any other event related to the art of glass. Proposals will only be considered for initiatives that are new and specifically conceived for The Venice Glass Week. It is free to apply, and there is no participation fee for taking part in the festival. Details about how to apply to take part in the next edition of The Venice Glass Week are available on the festival’s official website www.theveniceglassweek.com and social media channels Facebook, Twitter e Instagram.